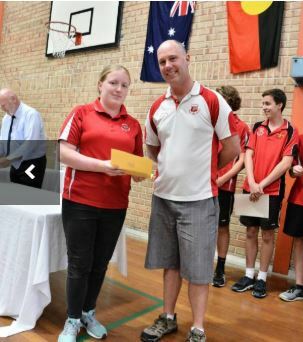 Esperance Senior High School held their Lower School Presentation on Tuesday, December 11. The awards were presented to students from Year 7 to 10. A student in each year won the Outstanding Student Award, presented to the top student across all areas and a Runner Up Outstanding Student Award. The Academic Dux was awarded to the top student in Mathematics, Science, English and Humanities for each year. 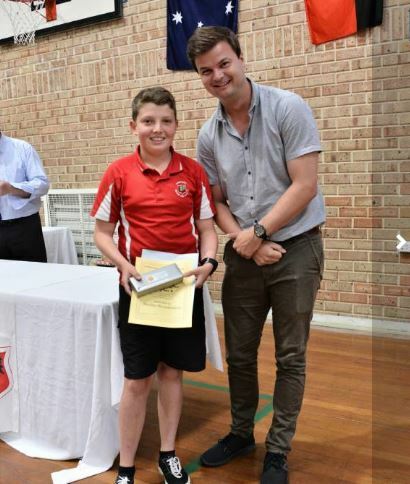 The Outstanding Student and Academic Dux of Year 7 was Caleb Shipp and the Runner Up Outstanding Student was Ruby Davies-Mele. 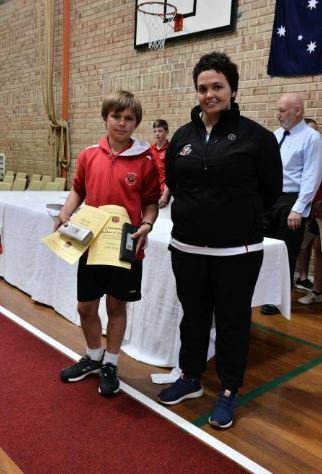 Brechto Bezuidenhout was awarded Runner Up Outstanding student of Year 8 as well as Academic Dux of Year 8. The Outstanding Student in Year 8 was Joy Ferguson. The Outstanding Student in Year 9 was Kasey Graham and the runner up was Holly Bishop. The Academic Dux was awarded to Felicity Slee. The Outstanding Student in Year 10 was Megan Kelman, while the runner up was Olivia Kipling. 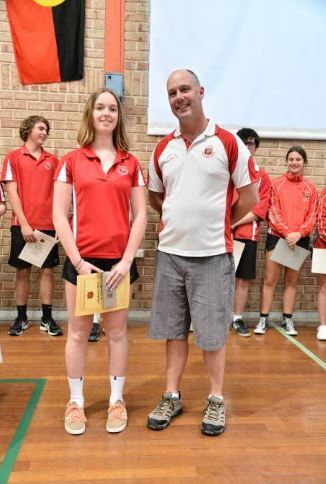 Megan O’Neill was awarded Academic Dux of Year 10. The Youthcare Council Award went to Tea Johnston for her outstanding contribution to the wellbeing of her peers. The award recognises students who show care and compassion towards others, volunteer their time in the community and demonstrate values including respect and integrity. Tea also won the Australian Defence Force Long Tan Leadership and Teamwork Awards. The Lions Club Service Award was presented to Casey Shearer and Summer Newton. The award is given to students for their contribution to younger members of the school. The Citizenship Award was presented to Soveryn Dickinson for serving the school community with distinction. The Ernie Redman OAM Memorial Award went to Tayla Simons for her engagement with the Quiet Lion Tour and associated studies. The Byron Byrne Scholarship was awarded to Vincent Newman who was the top Mathematics and Science student in Year 10. The Esperance Jaycees Scholarship went to Tyson Shields and Megan Kelman. The scholarship awards $1000 to each student to assist with their studies in Year 11 and 12. Youth education officer Geoff Poole said the awards ceremony was an “awesome” day with strong competition across year groups. “Today was about recognising and acknowledging the student’s academic performance and service to school and community,” he said. When it comes to working with the unique needs of her students, Rockingham Lakes Primary School chaplain Deb Cunningham likes to think outside the box. Apart from the more conventional social and emotional programs run at the school – Deb has explored other activities to help her students. “I started seeing Rylan three years ago when he was in pre-primary, just before his Dad passed away,” she said. Rylan completed the Rainbows Program (which helps children deal with grief and loss) as a Year 1 student and Deb has been seeing him one-on-one since then. She has also used kite flying and building with magnets to help Rylan. “The magnets are my favourite, they helped me to know who my support people are, those people I can talk to when I’m sad or angry,” Rylan said. The unique approach has proved to be quite effective. “We have seen many improvements in the way Rylan manages himself – he has more self-control over his emotions and his self-confidence and self-esteem are growing,” Deb said. “When there is a bit of a breeze at school, we sometimes go out to fly the ‘Bat Kite’. “This encourages Rylan to ‘let go’, especially if he’s been a bit sad or angry.